This website documents the creation of Manhattan’s signature grid, which set a remarkably flexible framework for growth as a town of 100,000 in 1811 became today’s world city of 1.8 million people (in Manhattan only). Balancing order and freedom, uniformity and individuality, the grid continues to serve as a model of urban planning in the 21st century. Drawing from the exhibition The Greatest Grid: The Master Plan of Manhattan 1811-2011, which was on view at the Museum of the City of New York from December 6, 2011-April 15, 2012, the website adds new material that allows visitors to explore extraordinary documents of New York City history, including interactive versions of the 1811 Plan and John Randel’s comprehensive survey maps of the island. 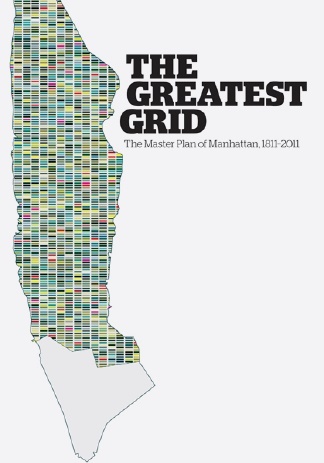 The Greatest Grid: The Master Plan of Manhattan, 1811-2011 was presented at the Museum in cooperation with the New York Public Library and The Architectural League of New York and was sponsored by the Office of the Manhattan Borough President. To view a list of supporters for the 2011-12 presentation of The Greatest Grid at the Museum of the City of New York, please click here. The exhibition was curated by Hilary Ballon and designed by Studio Joseph, with graphics by Thumb. The exhibition was accompanied by a book of the same title edited by Hilary Ballon, co-published by Columbia University Press and the Museum of the City of New York (2011), and supported by Furthermore: A Program of the J.M. Kaplan Fund. To purchase the book, please visit the Museum shop. and the generous support of Ronay and Richard Menschel. Unless otherwise indicated, Hilary Ballon is the author of the texts. Other authors are identified by their initials.